* Spot gold rose 0.3 percent to $1,237.60 an ounce by 0036 GMT. 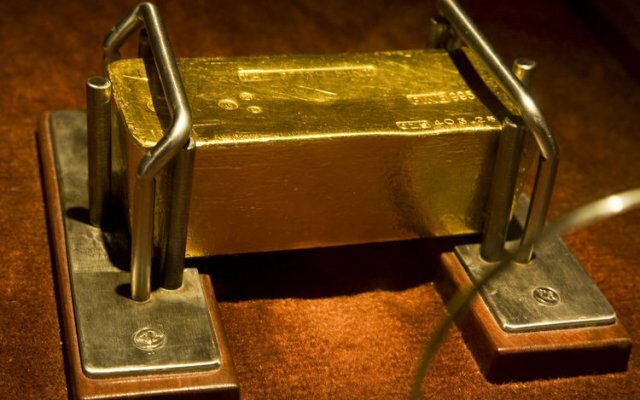 U.S. gold futures climbed 0.4 percent to $1,239.70. * A deal to freeze oil output by OPEC and non-OPEC producers fell apart on Sunday after Saudi Arabia demanded that Iran join in despite calls on Riyadh to save the agreement and help prop up crude prices. * U.S. crude futures slid as much as 6.8 percent to $37.61 a barrel, while Brent futures dropped 7 percent to $40.10 a barrel. * Commodity currencies slumped early on Monday while the safe-haven yen soared after the disappointing weekend meeting at Doha. Asian shares dropped on Monday dragged down by tumbling crude oil futures. * Gold prices had posted a weekly loss on Friday as equities and oil gained on upbeat Chinese economic data and optimism over the Doha meeting. * Gold prices have steadied after posting their biggest quarterly rise in nearly 30 years in the three months to March, driven by a retreat on expectations that the U.S. Federal Reserve will push ahead with several rate hikes this year. * The Fed is unlikely to raise U.S. interest rates when it meets later this month but seems to be on track for at least two increases over the rest of the year, Chicago Fed President Charles Evans said on Friday. * Hedge funds and money managers raised their bullish bets on gold and silver in the week to April 12, U.S. Commodity Futures Trading Commission data showed on Friday. 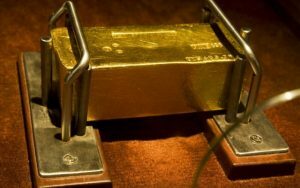 * SPDR Gold Trust, the world’s largest gold-backed exchange-traded fund, said its holdings rose 0.70 percent to 812.46 tonnes on Friday. * Silver’s value relative to gold surged by the most in 2-1/2 years last week as the metal jumped to its highest since late October.